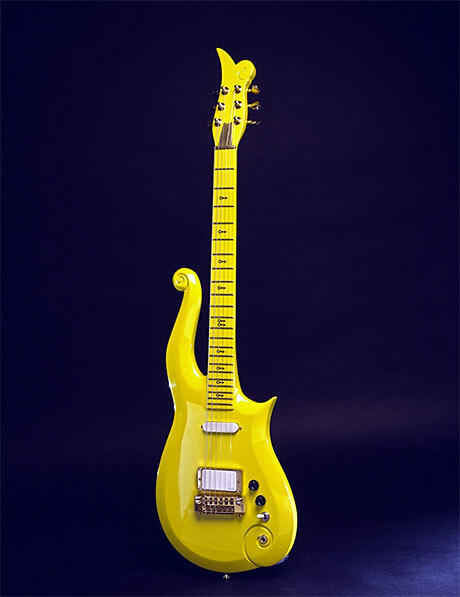 Prince's 1989 Knut-Koupee Yellow Cloud electric guitar. The Smithsonian’s National Museum of American History recognizes the life and legacy of Prince Rogers Nelson (1958 – 2016) by displaying his “Yellow Cloud” electric guitar. The guitar was made in 1989 and used during Prince’s Diamonds and Pearls era. Custom-made by the Minneapolis, Minn., firm Knut-Koupee Enterprises, the guitar was designed by Prince; his distinctive personal symbol adorns both the top and the side of the fingerboard.